Guest Bio: Jim Kelly was diagnosed with cancer in his upper jaw in 2013. He underwent surgery, but after a follow-up test, Kelly found out the cancer had returned and he would need to begin treatment for his cancer. It was a long and challenging road, but in August 2014, doctors gave Kelly the good news that they could no longer find evidence of any cancer. Jim Kelly began his professional football career in 1986, following two years with the United States Football League’s Houston Gamblers. During his 11 years with the Buffalo Bills, he led the team to six AFC East Championships and four consecutive championship appearances. Kelly holds the all-time football record for most yards gained per completion in a single game, and was inducted into the Pro Football Hall of Fame in 2002. He became known for his motto: “You have to be Kelly tough.” This motto, which built on the importance of being physically and mentally strong and able to bounce back from injuries, took on a new – and more important – meaning after his cancer diagnosis. Segment Overview: Pro Football Hall of Famer and former Buffalo Bill Jim Kelly talks about his personal experience with cancer, the role education, family, support, health and nutrition played during his journey and his role in the Your Cancer Game Plan Challenge, and the cancer advocacy community, designed to help people impacted by cancer and their loved ones manage the emotional, health, and communication challenges of a cancer journey. Neal Howard: Welcome to Health Professional Radio. So glad you could join us. I’m your host Neal Howard. Sunday, February the 4th is going to be a very special day, of course Super Bowl Sunday. Our guest is here today to talk with us about ‘Your Cancer Game Plan’. 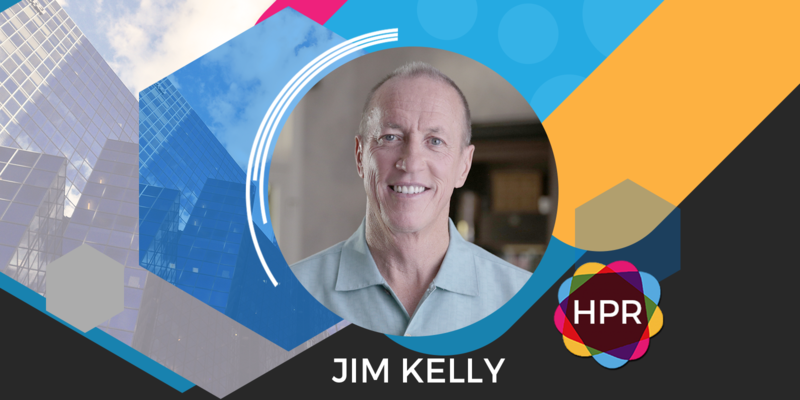 It’s Pro Football Hall of Famer and former Buffalo Bill Jim Kelly, talking about his personal experience with cancer, the role education, family support, health and nutrition play during his journey and also his role in the ‘Your Cancer Game Plan Challenge.’ Welcome to the program Jim. How are you? Jim Kelly: I’m doing pretty good. How about yourself? N: I’m doing well, doing well. First of all I’ve got to ask you, who’s your pick? J: Well I don’t know about my pick, but one thing I would tell you is I would never bet against Tom Brady. I’m not going to do that. Number 2 is Frank Reich, my backup in a very, very good friend of mine who played for the Buffalo Bills when I played is the offense coordinator for Philadelphia Eagles. I’m pulled for the Eagles. I want to see a good game and I like to see Philly end up and on top at the end. N: Great, great. I was rooting for the Steelers but since (crosstalk). Pennsylvania’s represented so it’s all good, right? Great. It’s also World Cancer Day, very special day especially for you. Give us a little bit of background into your experience with cancer, Jim. J: Mine of course any time you hear the word cancer and that C word, it scares you. For me I’ve been through so much in my life that I never thought in a million years that I would be one being diagnosed with cancer and I remember today because when I left the office after the doctor told me that my biopsy came back positive for squamous cell carcinoma, which is cancer of the upper of your jaw bone and I went home and my wife never heard of it and of course she and my two daughters were devastated by the news. But the thing about it is my wife and them first of all said, “You know what, we’re on this together. We are going to fight with you. We’re going to be there side by side.”, and so did my five brothers. That in itself hurts but and the thing is as I look back on those days and then I looked back on the last two years of being teamed up with Merck, I understand why they’re doing what they do because I wish that was put in place. Your Cancer Game Plan was put in place back when I was going through because we had nowhere to turn. We didn’t know what it was, who to talk to, what do we need to do. All those things but now through what we’ve been able to do and what Merck’s been able to do, we were now reaching out to people that had thought they had no chance, that they’d then nowhere to look. Now they can and I just challenge everybody out there in the next 30 days that log on to yourcancergameplan.com. Click on the website. You’ll see about 19 advocacy groups there. Pick one and for everyone you share on your network, Merck will donate five dollars and that in itself hopefully will raise hundreds and hundreds of thousands of dollars for these groups that are trying to make a difference for all those people out there. N: Jim talk about that, you mentioned that your wife didn’t know what it was, never heard of it, you had no idea, that lends itself to a bit of fear. Talk about how learning about your cancer may be alleviated some of the fear and allowed you to latch on to some of that hope. J: One of the things that brought the hope is, when I go back further when my son was diagnosed, we had no clue. We heard of Leukodystrophy, Krabbe disease, we’re like, “What is that? We have nowhere to turn.”. We learned firsthand before I was even diagnosed with cancer. It got hit between the eyes with both of them my son and now daddy and for me, it was scary. When Merck came to me and we talked about this, they told us what they’re looking forward to doing. I’m like, “It’s a no-brainer for me.”, and exactly what I needed a few years back and the people that I’ve talked to since we’ve launched this campaign. They totally get it. They understand why we’re doing it. Everybody out there, I mean jumped on board you need to know, you need something, therefore and if you can help by sharing all these websites for all these advocacy groups, you know you’re going to be doing something for somebody. You will be making a difference for some of those people out there that think they don’t have it tomorrow. N: You’ve talked a lot about the family rallying around you – your brothers and your wife and your children. Talk about some of the support that’s lended and found out about through Your Cancer Game Plan. A lot of people as you say think they don’t have any hope there by themselves. You had a nice family around you but some people may be by themselves. Talk about some of the support that can be found through the Your Cancer Game Plan. J: Number one is your attitude. We have people that we could talk to for me personally. As you just said I remember walking the hallways at some of the two hospitals I was at and there’s people like you said that don’t have people that’s there. I remember walking even going into people’s rooms and giving them flowers that I had sent to my room, because I wanted to see that smile that would be put on there faces. I know what a hug will do. I know what a, “You know, I love you.”, and a good attitude around you. I remember my daughter’s walking into my hospital room say, “Daddy, daddy you look so good. How’re you doing today?”. Just the attitude that people can have and the people you could talk to that can make you feel good about yourself and feel good about your outcome that will be coming. I personally have been very blessed but also I’ve been through the ups and downs just like everybody else. But one thing to be honest with you, when I travel I realize I don’t have it that bad. There’s so many people out there to have a lot worse than I do and if I could be a difference maker and what they do in their attitude and I understand why the good Lord put me through all this is to be able to prepare me for what I’m doing now. N: Once again, let’s talk about the Your Cancer Game Plan Challenge. It’s all to raise funds for cancer, support cancer research, cancer patient organizations. Tell us again how we can get involved in this Your Cancer Game Plan Challenge. J: It really advises other people talking to people that you know that have been in prompts even in a nutritional side which I didn’t know about before eating better, going to the right people. Just everybody out there, log on to yourcancergameplan.com. Click on the site. You’ll see about 19 advocacy groups what you might be strolling through or somebody know might be going through. Share that on social media so people understand where they can go to get the help that they need. And as I said before, I wish it was there when I played when I was going through my tough times but unfortunately it wasn’t. But I’ve had some good people in my corner and not everybody as we spoke about it a couple times before that don’t have that. So, we’re here to help and hopefully we will be a difference maker. N: Not just for the patient, it’s for the support group, it’s for your family to help them with their emotional needs as they care for you. That’s correct, right? J: Exactly. It’s a caregivers and caregivers are not always the nurses that you have in the hospital with you. As the people that come, your friends that come, your family members, how they are around you, how they keep having to make sure you have that positive attitude, because when you walk into a hospital and somebody’s not feeling that good, perfect example when I wasn’t feeling good and I was really thinking, “Oh my Lord, what’s next?”, and you have your family walking in and people are taking care of you and they get that smile on their face and they’re upbeat, that helps so much. Make you want to want to fight, want to continue to do it and want to have a tomorrow. N: I thank you so much for coming in today it’s been a pleasure and I’d like to get some updates if I could in the future on Your Cancer Game Plan and see how you’re doing, okay? J: Roger on that one and hopefully I’ll be able to give you some good news. N: Thank you so much. You’ve been listening to Health Professional Radio. I’m your host Neal Howard. In studio with pro Football Hall of Famer and former Buffalo Bill Jim Kelly. Transcripts and audio of the program are available at healthprofessionalradio.com.au and also at hpr.fm. Subscribe to the podcast on iTunes, listen in and download at SoundCloud and be sure and visit our affiliates page at healthprofessionalradio.com.au and also at hpr.fm.